The citizens of the costal districts have been organizing programmes to raise awareness about the importance of protecting the Sundarbans on February 14th. Environment activist and the locals of the districts demanded the government to officially recognize the day and observe it nationally. But there is no answer or measures have been taken in last 17 years. 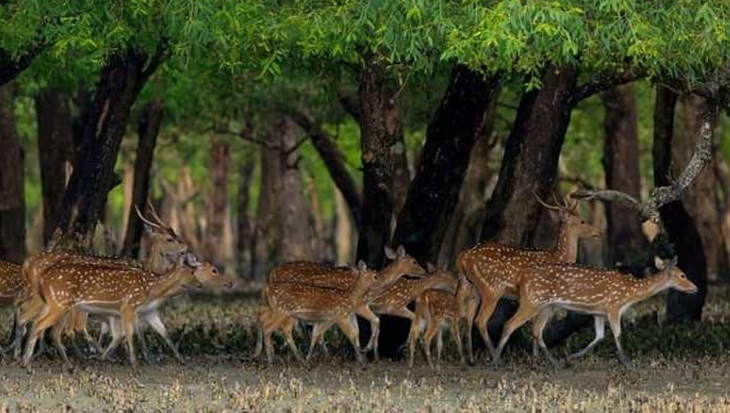 The Sundarbans was declared a reserved forest in 1878 and world heritage site in UNESCO in 2001 since it is the world’s largest mangrove forest. The Sundarbans is the biggest delta, backwater and tidal phenomenon of the region and thus provides diverse habitats for several hundreds of aquatic, terrestrial and amphibian species. It hosts a wide variety of flora and fauna, including Royal Bengal Tiger, many species of birds, crocodiles and dolphins. Khulna based NGO Rupantor‘s director Rafiqul Islam Khokon urges for recognizing the day as a national day. He also expects the government to take initiative regarding the declaration of the day. Prof Dr Mahmud Hossain faculty of Khulna University’s Forestry and Wood Technology Discipline claimed that government was dedicated to protecting Sundarbans and it took various projects to preserve forest’s resources. The importance of Sundarbans will be increased if the day gets official recognition and observer nationally Professor added. The recognition will bring the prestige for the country and would lead to the involvement of more people in preserving the forest.